Before this position as Director at ALCS, I taught high school and middle school science. This dream job allows me to help students learn and develop mentally and physically using the outdoors as the teaching medium. I have always incorporated hands-on activities to reach a variety of learning styles in my classroom. I worked as a Science Olympiad coach and a MESA advisor (Math Engineering Science Achievement advisor, a pre-college program designed to help under-represented students prepare for college) and I was also a high school track coach. I am native to Silver City and grew up hiking and biking in the beautiful Gila National Forest. I feel privileged to be the leader of such a remarkable public school program. When she was in kindergarten, Miss Bailey decided she wanted to be a teacher. In 8th grade she discovered her second love—biology. Though she majored in Elementary Education, Miss Bailey minored in biology and has a teaching endorsement in math, social studies and language arts. Yes, she is a nerd. Miss Bailey’s first teaching job was her dream job—kindergarten! After four years of loving and learning with over 150 amazing five year olds, the academic nerd in Miss Bailey came back and she started a PhD in biomedical science and human genetics. A year in the lab made her realize, she wasn’t as big a nerd as she thought—she missed teaching and kids a lot. That is when she decided to get her master’s degree in outdoor education or as she calls it—a degree in playing in the woods. Her master’s degree led to a job teaching 4th grade in Wilmette, Illinois where she continued to teach outdoor education and ecology, taking 120 4th graders for a three-day outdoor experience each year—each year that it is except the year Margaret was born. After nine years in 4th grade Miss Bailey moved back to kindergarten. Then when Margaret was ready to begin kindergarten, her sister convinced them to move to Silver City! Miss Bailey worked at G.W. Stout teaching first grade. That is when she and Ms. Aversa began the dream of an elementary charter school! While taking a year off teaching to work on the charter school dream, Miss Bailey did her parent volunteer hours at Aldo teaching using a specialized reading program. The successes with those students led to her job here. She loves the bringing together of all her academic passions that happens at Aldo. Siah's family has lived in New Mexico for over 16 generations, where they have ranched, farmed, mined, hiked and photographed the land. Siah graduated from Western New Mexico University and has worked in education for over 25 years. She has 4 children, one of whom was born with a rare genetic condition and has required extensive medical intervention over the course of his 23 years, including a leg amputation and a year of chemotherapy when he was just 4 years old. She has experienced first hand how difficult it is to navigate our medical and education systems and understands how critical it is to have services in place to support those with disabilities and their families. She values opportunities to train teachers and parents on how to respond to children in a way that best supports brain development, executive skills and social emotional intelligence. Currently, she is working on a doctorate degree and has a master’s degree in interdisciplinary studies with and emphasis in school psychology and a bachelor’s degree in elementary education. Cheryl Head was born in Silver City, but grew up in Loveland, Colorado in the shadow of the Rocky Mountains. Early life was spent outdoors as much as possible, water and snow skiing, biking, and playing sports. Cheryl attended Colorado State University for 2 years, then completed her B.S. in Secondary Education at Southwest Missouri State in Springfield, Missouri. Cheryl’s career in education began as a math teacher and she taught students in grades 7-12 and also worked as an adjunct math professor at WNMU for many years. After completing a Master’s degree in Counseling in 2008, Cheryl worked in the clinical field before coming to work at Aldo Leopold in 2010. Since coming to Aldo, Cheryl has had the privilege to work closely with students, supporting both academic and personal concerns. She loves her job and the daily variety that it brings. Cheryl has been married to Tom for 23 years and is the proud mother of two awesome young adults, Emma and T.J.. She continues to enjoy time outdoors and loves to travel, read and spend time with friends and family. Harry is a founding staff member of Aldo Leopold Charter School, having been fortunate enough to fill a need for financial management within that idealistic group of teachers and parents. Because teaching is much more fun than balancing the books, he got his M.A. in Teaching from WNMU and has loved giving classes in U.S. History, Government, Economics, Business, and Math. He gave up that part of his life last year, however, to make time to serve a four-year term as Grant County Commissioner. He and his wife Chris Jepson met in 1984 as Volunteers with the Peace Corps in the Dominican Republic. They raised their two boys in an off-the-grid cabin within the Gila Forest, which is what drew the family to this area from Albuquerque. Prior to joining Aldo, he was the founding Executive Director of the Silver City-based Gila Resources Information Project (GRIP), a community-based environmental protection organization. He holds a master’s degree in international economic policy and a bachelor’s degree in physics. Guy began teaching at Aldo Leopold this school year where he taught language arts, special education, and PE. He previously worked for Silver Consolidated Schools teaching at middle school and elementary levels. He has experience teaching language arts and special education. He spent time working as a firefighter for the U.S. Forest Service and is a U.S. Army veteran. He considers being in the outdoors a passion of his. He can often be found hiking and running on trails in the Gila. Guy is excited about being a staff member at Aldo and has just begun a new position as the Internship Coordinator for the high school. Alli Heneghan has been teaching science for 5 years now at the high school level. 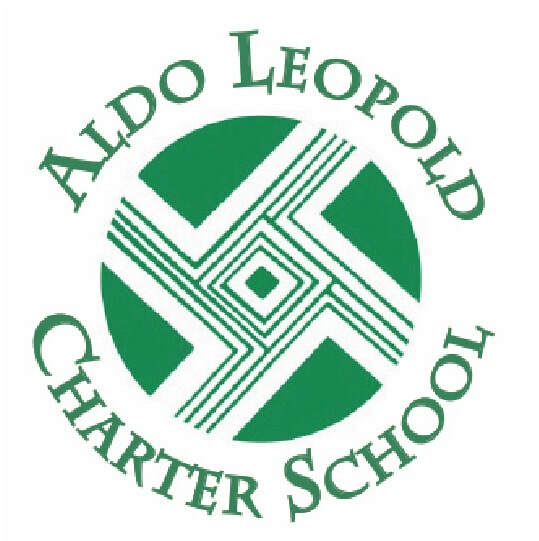 At Aldo Leopold Charter School (ALCS) she teaches general biology, AP biology, chemistry, physical science, and Health. Before teaching high school she taught Botany courses at New Mexico State University (NMSU) and the University of Oregon (including plant taxonomy/systematics, plant structure and function, and field botany). She has a BA and MS in Biology, both from NMSU, where she studied the population genetics of native rangeland grasses. During her undergrad she also studied at the University of Oregon where she worked on endophytes in invasive grasses and taught labs and summer courses. When not teaching at ALCS, Allison enjoys hanging out with her husband and 2 children: hiking, biking, gardening, reading, doing art, and cooking. Avery started working at ALCS in 2015 as a student teacher, and has since filled a wide variety of positions from teaching physical education to Math. He is an Aldo alumni (class of 2009) and his passion for experiential learning brought him back to the school, albeit in a new role. Avery's passion for experiential learning extends beyond his career as a teacher. After graduating ALCS, he immediately traveled throughout Europe for a summer. Attending the University of New Mexico, he made use of the exchange program there, studying in Spain for a year. On his breaks, Avery likes to explore the world, having visited most of Latin America, much of Europe, India, and Zambia. He is what his students like to call a "huge nerd" and can be found playing strategy games with students during his brain games elective. Avery strives to make his teaching relevant to students, and enjoys using discussion and inquiry as teaching tools within an experiential setting. He firmly believes that healthy risk taking is the key to an education worth thinking about and a life worth living. Aysh enjoys spending time with his wife and two sons, exploring the wilderness, and building things with any material he can get his hands on. He grew up in the remote countryside outside of Coos Bay Oregon. As a young adult Aysh worked as a wildland firefighter before returning to college to pursue a degree in Biology at New Mexico State University. While attending university, he worked in a HHMI funded Mathematical Biology lab where he researched the application of stable isotope analysis in ecology. Aysh is excited to bring his passion for wilderness work and for scientific work to Aldo Leopold as a middle school teacher. Catalina is a founding English teacher at ALCS whose passion for food, wilderness, language, and learning drew her to Gila, NM to work on what was once the Seeds of Change farm, to Silver City to work in private and public schools, and eventually to co-creating our school. In 2004, she joined forces with local educators to develop and implement humanities and experiential education curricula. Catalina’s love of wilderness grew from spending childhood winters skiing, snowshoeing, skating and sledding in Edmonton, Alberta, Canada; to her adolescence spent swimming, fishing, and snorkeling on the beaches and in the freshwater springs of northern Florida; to falling in love with old-growth forests of the Pacific Northwest in her college years. Catalina earned her BA in American Studies at Reed College in 1993, her MA in Education from Prescott College in 1999, a second MA in Interdisciplinary Studies (English, Writing, and Bilingual Education) from Western New Mexico University in 2012. Catalina has taught in a number of venues including ESL at Harvard University, Phillips Academy in Andover, MA, and with USAVIP online for 6 to 12 year-olds in Beijing, China. She is a published young adult author, poet, and short story writer. And in her free-time you will find her traveling, speaking French, camping, hiking, swimming, practicing yoga, gardening, cooking, and anything else that gets her outside. Emily grew up enjoying a wide range of natural and cultural environments between New York City and the Catskill Mountains. Family, books, art, music and exploration of the streams and forests of the eastern woodlands were an important part of her childhood and continue to influence her today. She earned a degree in English from Fordham University which included a semester studying medieval literature in York, England, and then had a brief stint in publishing in Manhattan. Searching for something different, she moved to Arizona and then to Gallup, NM where she taught mostly Dine (Navajo) students and earned a Master’s degree in Special Education. After 6 years at Gallup Middle School she relocated with her husband to Silver City, a community she loves. She taught at Stout Elementary for 9 years and Down To Earth School for 1 year before coming to Aldo in the fall of 2016. Emily has extensive experience with students who have a wide range of special learning needs, especially dyslexia. In 2012 she became very interested in holistic education and child development. She co-wrote an elementary school charter with a holistic philosophy and curriculum. Emily loves teaching at Aldo because of its innovative teaching practices, dedicated staff, and spirited students. She continues her training in Enki Education, a holistic multicultural model that incorporates experiential education, the arts, and the natural world. In the smattering of spare time that she has, Emily likes to travel with her husband and their daughter, read, hike, garden and contemplate life. Jennifer Bjornstad was raised in Vermont, but when she was 19 she decided to be like the Pilgrims she would later teach about and head west to seek a different life. Between then and now she has lived in Seattle and made attempts to be a Vermonter again, but it is only southern New Mexico that has held her. After living on the other side of the Gila River for five years her older daughter said, “No more homeschooling!” they moved to town, enrolled her daughter at Aldo, and Jennifer returned to college where she found inspired English professors who showed her the beauty and value of language. After earning her degree in English, she was hired at ALCS as an Educational Assistant in the middle school, where Mark, Scott, and Laura taught her how to teach. Since then she has become the co-coordinator of the middle school weekly experiential education outings, journalism teacher, writer of the Weekly Update and an 8th grade language arts and social studies teacher. Middle schoolers are entertaining beyond belief and Jennifer feels so lucky to spend her days with these people on the cusp of themselves. Teaching in a middle school has made Jennifer a better parent to the two best young women she knows. When not studying for the classes she teaches or the classes she takes, Jennifer likes to hike, play tennis, hunt for bargains at the thrift stores, and make meals for her family. Jim is in his 27th year of teaching high school, still unable to find work more satisfying & complex. After wedging in a 7-year stint as a nurse during a midlife crisis, he drifted back into the classroom by joining the staff at ALCS in 2009. Still, he retains his interest in all matters healthy, never hesitating to give his students unsolicited advice on diet, exercise, & risky behavior. Moreover, he has been especially fortunate that he’s had to use what he’s learned in his Wilderness First Responder courses only infrequently. His passions are trail running, along with Irish history & poetry, & he believes most ardently in non-violent resistance as a way to the Promised Land. At Aldo he has taught all the easiest language arts, science, math, & social studies courses the school offers & is currently having a blast teaching U.S. Government. He considers his work as Chair of The Volunteer Center’s Board of Directors his most important community work, & would now like to end his bio by saying that, after 19 years of marriage, he is still over the moon for his wife Chris & considers his daughter Siobhan one of the finest people he's met on his journey. Juniper Bowers has been a Spanish teacher for twenty-five years. Native to the southwest, she began travelling and living in Spanish speaking countries at the age of fifteen. Her parents taught English as a second language and she spent many years in Mexico. Once she had graduated from high school she returned to New Mexico. She graduated from WNMU with her bachelor’s in Education and Spanish in 1998. She has been teaching at Aldo Leopold since 2004. Juniper is also a certified Yoga instructor and has a Physical Education endorsement. She has offered a variety of movement and health- oriented electives at Aldo Leopold over the years. Growing up in Silver City, N.M., Maia discovered her love for nature and animals while exploring the Gila National Forest on horseback. After receiving her B.S. in Zoology from Western New Mexico University in 2002, she decided to pursue a career where she could share her passion for science and make a positive impact on the community where she was born and raised. In 2004, she received her M.A.T. with an emphasis in secondary science education. Maia began her teaching career in 2007, working in both public and private schools in the area. She joined ALCS in 2016 as a middle school math and science teacher. Maia still enjoys horseback riding, along with going on adventures with her family, hiking, gardening, photography and spending time in nature – especially at the ocean. Mark spent his younger years coated in the mud and waters of Ohio’s woods, creeks, and fields. He spent his early adult years wondering about while dabbling in carpentry, music, cooking and art. Eventually his urge to remain outdoors led him into work with wildlife. He began to fall for his wife in a hawk trapping blind in the Goshute Mountains while both were working for Hawk Watch International. Between various seasons working with Hawk Watch International and contract Peregrine Falcon work with Arizona Game and Fish, he freelanced as a naturalist for places like the Museum of Northern Arizona and the Grand Canyon Field Institute. While doing this he grew fond enough of other humans that it occurred to him that he might be a teacher. So, he became one and has done just that for over 20 years. He taught Kindergarten through third grade in Flagstaff, Arizona. He moved to Silver City in 2001 and taught at Jose Barrios Elementary for many years. He worked with two other teachers to start our middle school. He has two kids that are both Aldo students, and he and his wife also run a native plant nursery where they sell at the Farmer’s Market and supply plants for various restoration projects. When he retires he plans to spend his time coated in the dust and dirt of New Mexico’s mountains, rivers, and deserts, while dabbling in music, cooking and art. Penny was raised in Silver City, New Mexico after moving here as a child with her family from Bisbee, AZ. She started taking classes at WNMU while she was still in high school. After high school she pursued a baking profession which she did for several years. After getting married and having children, she and her family moved to Southeastern Wisconsin. She went back to school and received a Bachelor of Arts in History at the University of Wisconsin. While in school, she worked as a line-therapist working with autistic children. She then started a graduate program for Special Education at Carthage a small private college located on the banks of Lake Michigan. After living in Wisconsin for many years New Mexico was calling her to return. She has worked at a private school in Oconomowoc, WI, the high school in Deming, NM and Aldo Leopold Charter School. Penny enjoys traveling, gardening, and genealogy. Pete has lived in the Southwest since 1987. Graduating from high school in Farmington New Mexico on the Colorado Plateau, a bio-region where he was blessed with many days bow-hunting, riding horses and playing soccer. He then lived in Durango Colorado and attended Fort Lewis College from 1993 until 1997, earning a BA in Political Science. After that, he attended law school at the University of New Mexico before deciding that his career passion was in the realm of working with young people instead of in a courtroom. ​From 2000 until 2009, Pete served as head boys soccer coach and educator at Farmington High School, while escaping 6 hours south to the Gila wilderness as often as possible to bow hunt, camp and hike. In late 2009 -- on a sabbatical from teaching -- he relocated to the Gila watershed and, shortly thereafter, stumbled across this remarkable school named after Aldo Leopold, one of the founding fathers for protecting wilderness in the United States. Thereby, as luck would have it, he is actualizing his dream of living & working, in the outdoors, within this beloved, biodiverse region of mountains, deserts & free-flowing waters. Pete's journey at ALCS over the past 6 years represents a blending of the age-old love for wild pathways with a love for facilitating an experiential process of life-long, inquiry-based learning within himself and others. Scott Knight grew up in Libertyville Illinois, the home of presidential candidate Adlia Stevenson. After a long four-year high school experience, Scott went on to Loras College in Dubuque Iowa where he earned a BA in Journalism. As a young college graduate, lusting for fame and fortune he landed a job at Available Business Forms in Chicago. Imagine “The Office” and Dunder Mifflin paper company complete with cubicles, office supply sales and paper too. After two years, the pressure to sell paper and office supplies were too much for Scott so he joined a band and embarked on becoming a starving actor in Chicago theater. His parents thought him insane for giving up a lucrative $15,000 annual salary to embark on an acting career that would provide nothing but future teaching skills. After eight years of pounding the pavement and dusty theaters in Chicago, Scott entered The University of Illinois at Chicago and earned a Master’s degree in Educational Leadership. In 1993 he was entrusted with a classroom full of 5th graders and proceeded to teach them how to speak, act, sing, calculate, experiment, write and read. This formula seemed to work well, so he continued teaching elementary classes for ten years. In 1999 Scott moved to Silver City and taught at Cobre, Hatch, Duncan and Lordsburg before landing at Aldo. During this time, a strange transition occurred. The great state of New Mexico thought that because Scott had earned a degree in journalism, he must have the qualifications to teach high school English and had therefore, granted him a secondary teaching certificate in Language Arts. This document caused the administration in Lordsburg to assign him to a high school English teaching position. Because of quality mentorship and six summers of AP Literature and Composition seminars, Scott would become a proficient English teacher and is currently employed as an AP test reader by The College Board. Because he wanted to prove his sanity to his parents, Scott used his extensive theater experience to create drama programs in all schools in which he has taught, including Aldo. In 2014, Scott came to Aldo to help Mark Cantrell and Laura Laurish start the middle school. After four years of building a foundation that would support Aldo’s high school, Scott was plucked from his comfortable job as 7th and 8th grade Language Arts/History and Drama teacher to support the team by teaching AP Literature and Composition, Junior English, 8th grade History/Language Arts and combined high school/middle school Drama. He looks forward to moving into the new building at WNMU. He is committed to Aldo’s future, continued success and the opportunity to learn more about implementing the art of experiential education into all his classes. I started working in the Public Schools in 1998 as an aide/substitute. I worked in the Libraries at Silver High and La Plata Middle Schools. I have been working with Special Education for 16 years, the last 10 at Aldo. Due to working with Visually Impaired students, I have training in reading and embossing Braille, Sign Language, CPI and CPR.